A while ago I jumped in at the chance to be part of the International Craft Swap as organised by Rachel at The House of Pinheiro. I was paired up with a lovely girl in Norway by the name of Christina. Rachel paired us up because we have similar interests (veggie, animals, sewing - obviously!) and we seemed like a good fit. Once we established contact we set about discussing what we would make and swap. When Christina sent me the skirt she made (more on that later) she said she went more for a dirndl version so she didn't need to worry about hemming a circle skirt. Good thinking! In the end I also made up a dirndl skirt as when I started to do the math for the circle skirt, I just became disillusioned - no, my math isn't THAT bad (although husband would completely disagree) but more often than not a circle skirt may end up bigger on the waistband than you want and I of course couldn't just nip over to Norway to check the fit. I decided to add in some pockets to make it a bit more interesting. I tacked (basted) the trim onto the pocket first. 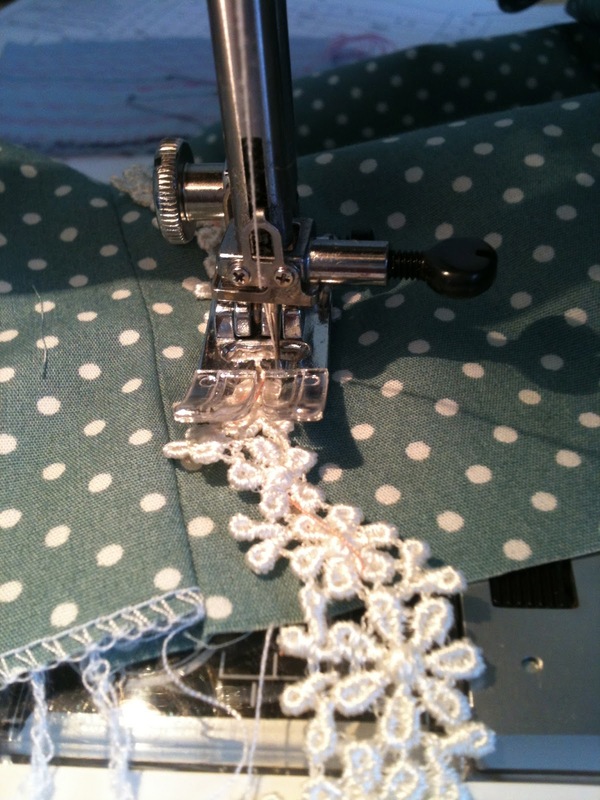 I'm a strict tacker through and through and rarely sew with my pins. It might take me longer but everything is pretty much stitched where it should be. Anyone else big on tacking/basting? I stitched the trim with a zig zag stitch just kind of going with the flow of the trim. Some edges were left loose, but I kind of liked that effect. Inside I thought it all looked pretty 'off the hanger'. 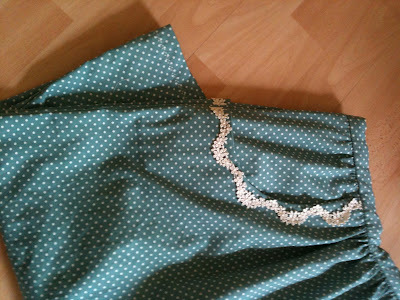 I overlocked all seams, which pleased me ALOT because it's very rare that me and my overlocker get on with each other. It's a torrid love affair. I love him (it has to be a him, to give me so many problems) when he works and think about dumping him when he's just being pigheaded and stubborn. However, he must like dirndls because he serged like a dream on this skirt. 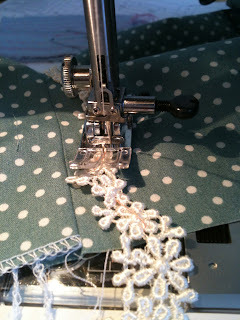 Bit wobbly, but that was more my fault - probably over excited that I was actually serging! I also slip stitched the waistband so it all looks nice and clean. The skirt Christina made me was very pretty! Loved her fabric choice and finishing, and it fits perfectly. She sent me the most gorgeous parcel. All nicely wrapped up in pretty tissue paper, as well as an extra present of a toiletry bag filled with Norwegian chocolate. So kind. I really loved doing this Swap - it felt really nice making something for a stranger. It took me back to being younger and having a pen pal again. Thank you to Rachel for organising this.